for registrant contact information changes on existing domains. If the Registrant email is changed, the email will be sent to the new email address specified. Usually, it takes several minutes for the email to be delivered. Please make sure to check your Spam/Junk folders as well. The verification email will come from verification@namecheap.com or support@namecheap.com with the following subject: "IMMEDIATE VERIFICATION required for [domain name]". The email will contain a link you need to click on to verify your contact information. If the domain in the URL is different from the one specified above, please contact support to clarify the situation. NB in regard to new registrations: You must verify the email address by clicking on the link within 15 calendar days after registration. If you do not verify it within 15 calendar days, the domain will be suspended, and the DNS of the domain name will be changed. The domain will resolve to a landing page with the instructions on how verification can be made and, as a result, the DNS will have the previous settings, and your website will be restored. Additional notifications are sent 10 and 5 days prior to suspension; shortly before the suspension, we are sending a final notice. NB in regard to contact updates: You must verify the email address by clicking on the link within 7 calendar days after the update. When the combination of email, first name and last name for Registrant contact is updated, the domain(s) will be added to the update queue. This means that the updates will be visible in your Namecheap account, but contact details will not be changed in public Whois until the verification email is approved. If you do not verify the email address within 7 calendar days, the queue request will be canceled. In this case, the domain(s) will not be subjected to suspension, and the contact updates made in your Namecheap account will be reversed automatically. For some domain extensions and for cases regarding the inaccuracy with some contact details, the verification process would be as described above for new registrations. If you have domains in your account that are either queued for verification or pending suspension or are already suspended, we will be sending email reminders. Reminders will be sent once a week to your Registrant email address. How can I check which domains should be verified? Sign into your Namecheap account. The page will contain the list of affected domains (queued for verification, pending suspension or suspended) and the option to resend a verification email. NB: The update on the page may take up to 30 minutes to take full effect. 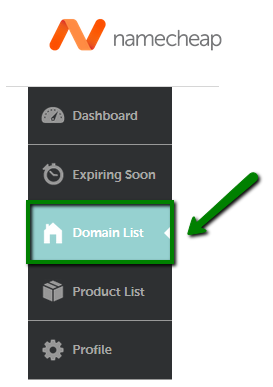 Thus, after you have verified the domains, you need to allow some time for the updates to be reflected. Once the verification process is completed, all new future registrations and updates using that same Registrant contact information will be considered as verified and will not be subject to the verification process. Nonetheless, you will need to make sure that contact information is valid, up-to-date and complete, and that the email address is functioning. According to Registrar Accreditation Agreement regulating Whois verification process, domains will be asked for verification when registered with enabled WhoisGuard. Additionally, verification is applied to the domain names for which WhoisGuard was disabled (either manually or automatically due to expiration) and the current set of contact details has not been verified before. First/ Last name should contain minimum 2 letters. Phone number must consist of a country code and a valid number. Please make sure you have selected a proper country code and have entered a valid number in your account profile. Make sure similar details apply to all domain names in your account. Address, City and Country must be provided. Blank fields may cause the registration order to fail. State/ Province should be specified whenever applicable. Zip/ Postal code should be numeric or alphanumeric and may contain a dash "-". The format should be applicable to your country or territory. As a Registrant with Namecheap, you must agree to Namecheap's Registration Agreement. Please click the link below to verify the Registrant email address and explicitly consent to the terms of our Registration Agreement. Below you will find the list of domains which require verification within $SUSPENSIONDATERANGE$. This is the time bracket in which your domains will be suspended if no action is taken. You have to verify this email address and agree to the Registration Agreement until the time frame listed above. After this date, the domain(s) associated with this Registrant contact will be suspended until the email address is verified and the Registration Agreement agreed to. Click here to verify your email address and agree to the Registration Agreement. Once you click the link, your email address will be instantly verified and there is there is no further action required by you.